The Combs Produce site is fenced off and demo or remediation is happening. Does anyone know if a project is in the works? willyk wrote: The Combs Produce site is fenced off and demo or remediation is happening. Does anyone know if a project is in the works? No renders to be found, though. Project Address:	1011 S. Harwood St.
Hmm, bugs me to think about what will become of the Farmers Market when it is just one shed and completely built out with Copy/Paste 5 level sticks. This area should really focus on bringing retail in to retain some of aspect of being an actual "Farmers Market". ContriveDallasite wrote: Hmm, bugs me to think about what will become of the Farmers Market when it is just one shed and completely built out with Copy/Paste 5 level sticks. This area should really focus on bringing retail in to retain some of aspect of being an actual "Farmers Market". Not enough people in the area for retail. Need more copy/paste 5-level sticks. I agree we need more retail. The Farmer's Market has become a destination, and a good one at that, so even though there aren't enough residents currently, it would have been nice to see them try for more. It doesn't even need to be more retail right now, but at least the potential for more would have been nice. As it stands, The Shed is going to soon be boxed in by these low rise apartments. Attiva Farmers Market construction site. Lynd Development Partners is building the more than 200-unit apartment project at Harwood and Cadiz streets in downtown Dallas. The new apartment development is just across the street from the Farmers Market. Lynd filed building permits with the city for a $33.5 million development. I'll take 5-stories curb to curb over a 20 story tower covering 30% of the property, sitting on a six-story parking garage any day. I am fine with lower 5-story stuff in this neighborhood. Farmers Market is the pseudo State Thomas of Downtown. Townhomes and apartment buildings that stay in a lower range in terms of height. It makes for a much more walkable neighborhood. Have you ever walked through State Thomas day or night? It's quite beautiful with lots of trees, working street lights and a variety of architecture that still seems to mostly fit together into the bigger picture. People actually desire to walk around State Thomas not just because of the nightlife nearby. I love the lower-rise buildings here, I just wish we had more retail on the ground floor. DPatel304 wrote: I love the lower-rise buildings here, I just wish we had more retail on the ground floor. This is the crux of Dallas. The amount of retail packed in to my 5 story block in Munich is probably equivalent to half a square mile of coverage in Dallas. That's funny because you would think that the developers of these projects would add first level retail to their projects around the Farmer's Market. Apparently not. Can't support retail everywhere without density. You're only going to get that with midrise once you have midrise everywhere, not just a few here and there (which I would completely support). And even our high-rises aren't particularly dense. A developer friend of mine in Oakland is building a 20-story residential building that's 450 dwelling units/acre. Dallas' 20-story towers are typically less than half that. Dallas doesn't have an area over even 15k/sqmi. We just replaced a nasty smelly crumbling produce building...anything is an improvement. Harvest Lofts can't even fill their retail. This project looks incredible! I'm sure Vickery Meadows is well over 15K Now. Back in 2004 they were listed as 14k/sqmi in that neighborhood. Uptown is probably up there too now. Regarding, retail Dallas' biggest issue is Form. Sometimes they won't allow mid rises to even be built. I remember Council woman Gates saying one time she didn't want single family units being replaced w multi family in her district. It's Absurd restricting natural growth in a city. Fix the form and Density will take care of it self. That's not the rule though. Many urban areas in every major city in America have multiple places where two and three-story buildings exist on the street with retail/commercial space on the ground floor and just a few units of residential or commercial space above. In some places this scale of development exists for multiple blocks in multiple directions before a tower of residential is ever seen. Some people also assume that means the alternative to massive numbers of units above a commercial space is that you need to have gobs of free parking for suburbanites to come parking nearby and that's a misunderstanding as well. To get a vibrant commercial/retail zone does require rooftops, yes but the threshold is not 10-20 story towers of 200-500 units stacked nearby. Parking, traffic, transit access, walkability, location related to the residential area, demographics. etc. Ground floor spaces in the CBD are on the edge of some of the "good" demographics for retail. You can see it when a company like Whole Foods opens just short of Downtown. Or that Tom Thumb that is finally willing to open a store south of Wyclif. If you had thousands of occupied single-family homes with "good" demographics in the Cedars, Deep Ellum, Riverfront and Uptown the CBD could attract more ground floor commercial/retail space. The other major factor, not all developers are looking to do mixed-use cause it complicates a development. Most developers focus on one area of a project. Sure there are developers who have a residential division and a commercial division but many would prefer to throw up 400 units of luxury apartments, lease and flip the property so they can invest in their next build project. Adding commercial space and all the regulations that go with it complicate the design and management structure. Tivo_Kenevil wrote: I'm sure Vickery Meadows is well over 15K Now. Back in 2004 they were listed as 14k/sqmi in that neighborhood. Uptown's actually only around 12k. But its employment density and status as a regional draw make its effective density higher. Vickery Meadow is around 11k. Yeah, there are two census tracts at 16k and 18k, but that's a tiny area. Even the whole Vickery Meadow area is small, and of course there are significant walkability design issues as well. Regardless, there's not something special about 15k. If anything, from looking at cities I know, it looks like you need ~20k (outside of CBDs/other regional draws) for the kind of retail we're wanting. cowboyeagle05 wrote: That's not the rule though. Many urban areas in every major city in America have multiple places where two and three-story buildings exist on the street with retail/commercial space on the ground floor and just a few units of residential or commercial space above. In some places this scale of development exists for multiple blocks in multiple directions before a tower of residential is ever seen. Well, sure. Because those places are dense. The point isn't that you need a certain building type to support retail but that you need a certain density. Unless Dallas is suddenly going to give a bunch of its ROW to property owners and start building zero lot line, zero parking 3-flats everywhere, bigger buildings are going to be needed. tanzoak wrote: Can't support retail everywhere without density. You're only going to get that with midrise once you have midrise everywhere, not just a few here and there (which I would completely support). And even our high-rises aren't particularly dense. A developer friend of mine in Oakland is building a 20-story residential building that's 450 dwelling units/acre. Dallas' 20-story towers are typically less than half that. I get that not everywhere can support retail, I guess it would be nice if these buildings were to plan ahead. Today the Farmer's Market can't support retail, but will it be different 10-20 years from now? I'm also not suggesting all apartments add ground floor retail, but the Farmer's Market is somewhat of a destination and can draw people from other areas, but has essentially been 'boxed' in by apartments with no ground floor retail at this point. Unless I'm missing something, it doesn't appear like there is any room for the Farmer's market to expand into any of the adjacent lots, because they've all been spoken for. Right now there is no shortage of empty retail storefronts in the Farmers Market, plus more on the way with the Taylor Lofts. It doesn't seem to make economic since to have an excessive amount of empty retail. Resident are key to the being a daytime and evening population to support all the upcoming retail in downtown neighborhoods. Having a shortage of available retail would certainly be a good problem to have as it would spur more development in surrounding block but it currently it is it definitely not problem and doesn't seem as though it will be in any near future. Has there been any progress on this space? The Taylor Lofts building seems to be topping out, with the Lynd apartment building starting to take shape. Urban Farmhouse looks to be dead. They opened a retail store at their distribution center on Maple Avenue near love field. Probably figured there wasn't a need to deal with the folks running the Farmers Market when they could have a location of their own. They have also implemented paid parking at the Market. Can anyone else think of a retail center in Dallas that has paid parking?? The people in charge just keep shooting themselves in the foot. ArtVandelay wrote: They have also implemented paid parking at the Market. Can anyone else think of a retail center in Dallas that has paid parking?? The people in charge just keep shooting themselves in the foot. Where's the paid parking? Is that in the tiny lot between the market and Mudhen? I typically expect to pay when going down there on one of the meters a block or two away, but that's pretty cheap. I don't think it's the worst thing that they'd charge for parking. Theoretically it incentivizes folks to use alternate transportation methods to get down there. I don't think it will kill them either. They won't be blossoming until the neighborhood turns over more. If the SMART District project gets at least something started in their first phase it will be a lot of help. Getting some office workers down there for lunchtime weekday business will help. The bus they are running to get workers from Main Street during the lunch hour was always just going to be a loss leader stop-gap solution. 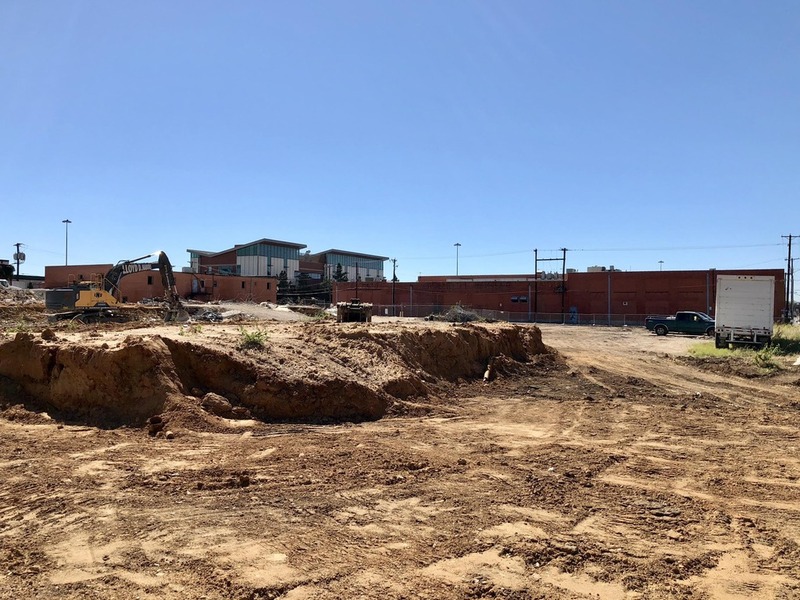 Get Harwood Park going and finish the epic construction on Pearl and Cesar Chavez and a few more apartments on the west side of the Farmers Market and they will see some improvements in traffic. Personally, I am still happy with the current management plans as far as I know them. I interviewed the management for a college project and after asking a number of questions I was happy with their vision and goals. I wish there was a good place for El Centros Culinary School down there. I know they were looking at a few locations like Fair Park but I think they could do better by having something tied in with the Farmers Market with a restaurant staffed some by students. I'm assuming they wouldn't charge for parking if it wasn't being utilized. And it's pretty easy to change course if they experience a large drop in customers as a result. Charging for parking is good for retailers in high-demand areas, as it encourages turnover. Otherwise you'll have a bunch of cars parked there all day, preventing customers from finding an easy space. Typically, people are more turned off by the prospect of driving around to search for a space and then walking for 5 min than they are paying a couple of bucks to be right where they want to be. Don't underestimate people's value of travel time savings for walking! Especially after parking, and especially if they're not used to having to walk. cowboyeagle05 wrote: I wish there was a good place for El Centros Culinary School down there. I know they were looking at a few locations like Fair Park but I think they could do better by having something tied in with the Farmers Market with a restaurant staffed some by students. Seems like many of the two dozen buildings that Todd Interests just acquired would be great for this, depending on the space they need. I'm thinking about the Masonic Temple with a patio overlooking Canton St.
As for parking, I've never had trouble finding a meter on that side of downtown, especially on weekends. Paid parking is to be expected Downtown, so I think it's fine. Every time I go to the Farmer's Market on the weekends, the place is packed full of people, so they are doing something right. And, as exelone31 said, it incentives other modes of transportation. I feel like the Masonic Temple could handle a boutique hotel on the parking behind it with underground parking. With the access to Farmer's Market, Deep Ellum, Main Street District, and eventually, the subways stop, Harwood Park and the Smart District.... A hotel could go over quite well! and something could be done to incorporate the temple into the project, as well... Perhaps restaurant space with office above. Dmkflyer wrote: I feel like the Masonic Temple could handle a boutique hotel on the parking behind it with underground parking. With the access to Farmer's Market, Deep Ellum, Main Street District, and eventually, the subways stop, Harwood Park and the Smart District.... A hotel could go over quite well! You’re forgetting the proximity to the Stewpot and Park Ave. The thought was things on Harwood would improve when the Statler and DMN moved in. It has not. Dmkflyer wrote: A hotel could go over quite well! I was in Fall River, MA years ago for a hot air balloon festival. I have never forgotten a wonderful dining experience similar to what you describe. The restaurant was in a converted chapel, complete with gothic arches and stained glass windows. The chefs and waitstaff were students at a nearby culinary school. The food and atmosphere were inspiring. It was quite memorable. What a draw that kind of operation would be for this area. I thought the Masonic Temple was sold to a charity. It's not clear who the new owner is: Rob Baldwin of Baldwin Associates will only say that it's a "philanthropic organization that has nothing to do with First Presbyterian or the Stewpot." (A couple of years ago, First Presbyterian Church kicked the tires on the building before focusing all of its attention on 508 Park Avenue.) He says "it's not going to be another Stewpot or Bridge or have anything to do with the homeless." willyk wrote: I thought the Masonic Temple was sold to a charity. Yes, that was the case in 2013 but it is now owned by Todd Interests. Across the street, he's buying the old Cadillac showroom that still has the automaker's emblem etched into the floor. And a block away there's the Meletio Electric Supply buildings, which now house tech offices. Dallas' historic Masonic Hall on Harwood Street is also part of the acquisition, which spans a half-dozen city blocks. In all, Todd Interests is buying some 200,000 square feet of buildings — about 40,000 square feet of which is occupied. The developers are still pondering what to do with the landmark Masonic Temple at Harwood and Young Streets. Built in 1941, the 3-story building has about 43,000 square feet. "We think it could be a great creative office space or a concert venue," said Todd Interests' Philip Todd. The concert venue idea is interesting. The Majestic is sort of in that general area, but there isn't much else music-wise on that end of town until you hop 345 into Deep Ellum. Looks like storefronts facing Marilla Street. Nice, I need to get over there and see what's going on. I see that the warehouses on Harwood just south of the Lynd development have been demo’d. Looks like another apartment development on the way. Did anyone see an announcement? This got build fast. Also, peeked inside the Urban Farmhouse storefront and was surprised to see it packed with furniture. Looks like it just needs to be staged and organized. This shot is of the building facing Taylor Street and The Shed. Looks like there's retail/storefronts wrapped all around this building. mdg109 wrote: This shot is of the building facing Taylor Street and The Shed. Looks like there's retail/storefronts wrapped all around this building. Yes—it seems there are now enough residents and traffic to support retail here, but there is no space on offer. So I think these spaces should do quite well. I wish we would start to see some midrise 1 and 2 BR condos going up in and around downtown. I think they would do really well. Does anyone happen to know what happened with the space that was supposed to be Urban Farmhouse? I thought they were supposed to open a showroom down there too. exelone31 wrote: Does anyone happen to know what happened with the space that was supposed to be Urban Farmhouse? I thought they were supposed to open a showroom down there too. Read four posts up^ mdg109 wrote a quick update a few days ago. Sheesh, totally missed that. Thank you! They are working on the Masonic Temple....anybody get word what Todd Interest has in store for the building?